Over the years I’ve watched, with indignation and concern, the proliferation of motivational speakers in pulpits. I’ve watched how many churches and preachers are replacing the gospel of Jesus Christ with motivational speaking. I’ve watched how some of these preachers have even built mega churches and empires with this brand of the “gospel.” But even worse, I’ve watched how droves of people have been misled into believing that they are getting fed the Bread of Life; i.e. the unadulterated gospel of Jesus Christ, not knowing that they are being served motivational speeches on a platter, spiced with scriptures. But I’m not as concerned about these motivational speakers in pulpits, as I am concerned about the spiritual well being of the thousands of people attending their churches; and the several million worldwide television viewers whose lives are being impacted by their teachings. 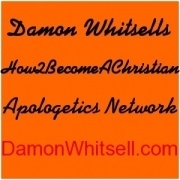 It is this concern for the spiritually helpless that has led me to expose some of these preachers for who they really are; to warn you, the followers and would-be followers of these preachers. I write to alert the Body of Christ about this proliferation in the Church; the danger of motivational speaking packaged as the gospel; and to teach you how to recognize a motivational speaker in the pulpit when you come across one; which I say, sadly, that there are many out there. So, let’s start by identifying the two leading motivational speakers in pulpits or what I call, “motivational preachers.” The two leading motivational preachers of our time are Pastor Joel Osteen of the New Lakewood Church in Houston, Texas and Bishop T.D. 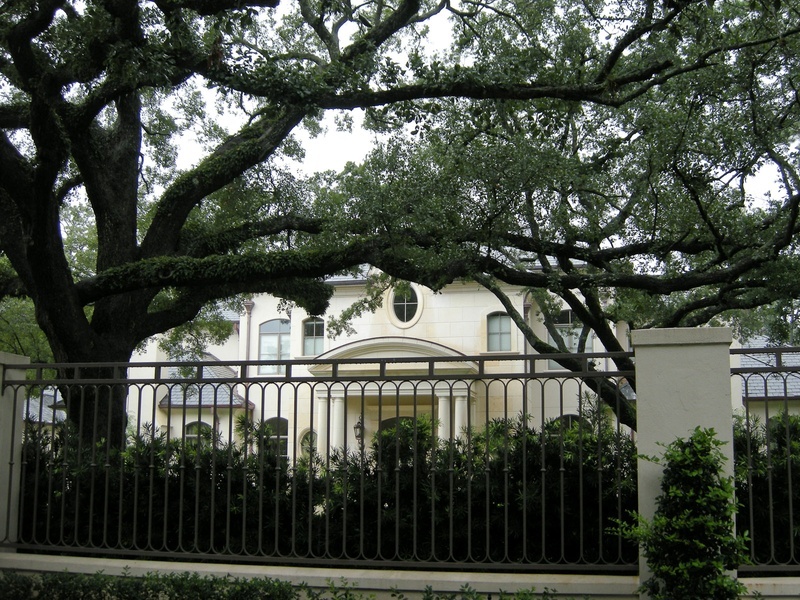 Jakes of the Potter’s House, Dallas, Texas! Surprised? Maybe! Maybe not! However, if you are surprised to learn that these two are motivational preachers, perhaps it’s because they are your favorite preachers. Perhaps, it’s because you’ve always thought them to be “O Great Ones.” Or maybe it’s because of their success, popularity, ministry size, followership, etc. or even because of the good they’ve done in society. For instance, Jakes’ Woman Thou Art Loosed book or prison outreach ministry. Or Osteen’s book, Your Best Life Now. As humans, we tend to attribute worldly success, good works, ministry size, popularity, followership, etc. with godly success. Therefore, the bigger a church, the more popular or successful a preacher, the more success we think a person or organization has. We even credit these successes to God’s blessings. But worldly success, good works, ministry size or even large followership is not necessarily the measure of godly success. A person can have all these, yet not be godly. For instance, Oprah Winfrey has all these attributes, but yet she’s not a preacher; neither can her success be considered godly; because of what she espouses. So we cannot go by worldly success, good works, popularity, ministry size or even followership. In fact, T.D. Jakes in a CNN/TIME article was described as “Oprah-in-a-pulpit. But for Winfrey’s generic spirituality, Jakes substitutes God.” That is to say that, if Oprah were to be a preacher, she’d probably have one of the largest churches in the world! But thankfully, she has enough sense to stay in her lane (at least for now). So, all these attributes have nothing to do with godly success! But just before we look at why Joel Osteen and T.D. Jakes are motivational preachers, let’s first understand what motivational speaking is, the benefits of motivational speaking and the danger of packaging motivational speaking as the gospel. Simply, motivational speaking is an encouraging, uplifting speech; intended to motivate the listeners to do better and be better in specific areas of their lives. In a sense, the motivational speaker is an encourager – i.e. the people’s cheer leader. He or she motivates people into action. Motivational speaking is based primarily on mental or human strength and not God’s strength. It is what a person can do in his or her own strength, rather than what God can do through the person in His strength. Without a doubt, motivational speaking has its place in society. Don’t get me wrong, there are many benefits of motivational speaking. For instance, it uplifts people; makes them feel good about themselves. It motivates them to see that they can do better and don’t have to settle for less or live beneath their means. It makes people strive for excellence, forgetting the past – past hurts, bitterness, anger, malice, etc. It can make people reach or strive for their full potentials. It can even help some unforgiving people to forgive those that have hurt them. So yes! There are many benefits of motivational speaking. There’s nothing wrong with motivational speaking; IF it’s outside the pulpit. And as long as the people listening to it know for a fact that that’s what they are listening to. It’s only a problem when it’s coming from the pulpit as the gospel, and it’s mistaken for the gospel. We don’t go to church to listen to motivational speaking. Neither do we go to church to be entertained. Rather, we go to church to be taught the uncompromised Word of God, rightly divided. If motivational speaking is what one wants, one can just go to a Les Brown or Willie Jolley speaking engagement, to be motivated. Now, does that mean that you cannot be motivated by the gospel? Absolutely, you can. However, there is a difference in how the gospel inspires you to become the Word, and how motivational speaking motivates. Motivational speaking motivates through feel-good messages; which, like euphoria, are not lasting. But the gospel inspires through doctrine, reproof, correction and instruction in righteousness (2 Tim. 3:16). Not through goody-goody, self empowerment messages. So, if you leave church feeling good about yourself after every service, chances are you are listening to a motivational preacher. No one should leave church feeling good after service every time; which is what motivational speaking does – makes you feel good about yourself. There should be something in a message that convicts you; i.e., shows you the errors of your ways and how to correct them, so that you can be fit for the Master’s use. By that I don’t mean beat you up or condemn you; but convict you. There is a difference. Hebrews 4:12 says, “For the word of God is living and powerful, and sharper than any two-edged sword, piercing even to the division of soul and spirit, and of joints and marrow, and is a discerner of the thoughts and intents of the heart.” Well, if the Word of God pierces even to the division of soul and spirit, how can a person listen to a sermon and go away feeling giddy, and not be convicted? After all, a double-edged sword is not a toy. Rather it cuts, and cuts deep. But the Word of God is even sharper! Perhaps you ask, “If the motivational speaker motivates people into action, and encourages them to be better, what is wrong with that?” Nothing! If it’s done outside the pulpit! However, motivational speaking disguised as the gospel is very dangerous because it’s often mistaken for the true gospel. It’s like a chocolate covered poison – tastes good to you, but not good for you. Motivational speaking packaged as the gospel blurs the line between the gospel and humanism; which really is what motivational speaking is about. It blurs the line between human ability and God’s ability. Unless exposed, motivational speaking can be difficult to discern from the gospel. So much so that even a motivational preacher may not know that that’s what he or she is doing. This is the other reason why I’m writing this article; to help other motivational speakers out there to identify and stay in their lanes. So that they don’t mistake their motivational speaking skills for a call to preach the gospel or pastor a church. Perhaps by now you are thinking, “If motivational speaking is not the gospel, so what is the Gospel?” Simply, the gospel is the “good news” of Jesus Christ. And the good news of Jesus is redemption or salvation from sin. The major difference between motivational speaking and the gospel is better explained by this analogy…Motivational speaking can be likened to scratching an itch – it relieves the itching but doesn’t cure the cause of the itch. It doesn’t have the power to cure the cause of the itching. It is the truth of God’s Word that cures the cause of the itching. It is the truth of God’s Word that makes people free (John 8:32). Not philosophy, psychology or politics. Not sociology, fables or personal opinions. Therefore, the primary role of a true preacher is to teach the truth of God’s Word, rightly divided. A true preacher teaches his or her congregation how to be true disciples for Jesus Christ; so that they can disciple others. In other words, be an extension of the earthly ministry of Jesus Christ. A true preacher doesn’t teach his or her congregation always about what it can get from God, but what it can do for God to help further His Kingdom; i.e., how they can live for Him. If you study the lives of Jesus Christ and the early disciples (our examples), you’ll see that the least of their concern was seeking God for what they could get from Him. Rather, their primary concern was denying themselves for the gospel’s sake; to seek and save the Lost. Likewise, the primary role of a true preacher is to perfect his or her congregation to be like-minded. And not this foolishness you see on Christian TV or hear on radio about what you can get from God or what God can do for you – a trait shared by motivational preachers and prosperity preachers. Without a doubt, both Jakes and Osteen are dynamic and electrifying speakers – Jakes especially. But don’t be fooled by all that theatrics. When you go to church, you go to church to be taught the Word of God; not to be entertained; which unfortunately is what goes on in many of these churches. You don’t go to church to be mesmerized either, but to learn how to relate with God, and how to seek Him for yourself. If entertainment is what you want, you can go to a concert or a circus. Neither do you go to church to hear someone’s “old wives’ fable” as apostle Paul puts it in 1 Timothy 4:7; which is what Joel Osteen does. His sermons are full of stories after stories. 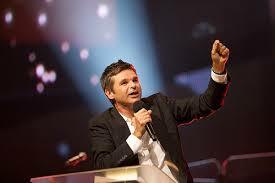 Most motivational preachers, like Jakes and Osteen, preach to please the listeners. They preach what they know the people want to hear. They preach a generic, non-offensive “gospel”; to borrow T.D. Jakes’ words, “a user-friendly” gospel. That is why most of their sermons are either about what God can do for the people or what the people can get from God: favor, promotion, blessing, victory, etc. ZAHN: You have grown quite a flock. Where do you think you’re connecting where others aren’t? JAKES: Well, I’ve thought about that quite a bit, Paula. I really do think that we’ve touched a felt need in the community to understand that people are dealing with issues and crises and to be user friendly, sensitive to them. I have tried to find biblical answers to sociological ills and to encourage people, in spite of pains and traumas, to be all that they can be. That was the purpose of The Potter’s House Church in Dallas, Texas, as I pastored there for the last eight years and even with MegaFest here in Atlanta. ZAHN: I’m curious about something you just said. You said you have to be user-friendly. What does that mean, less like the churches maybe many of us went to growing up? JAKES: Yes. Maybe the focus is not on being starchy and prudish and routines and rituals, but just open and sensitive to the need for people, the ability to hear, not so critical, but open to understand and embrace and encourage people, motivating them, rather than pushing and beating on them. KING: But you’re not fire and brimstone, right? You’re not pound the decks and hell and damnation? OSTEEN: You know, I think that happens in our society. But I try not to do that. I tell people all the time, preached a couple Sundays about it. I’m for everybody. You may not agree with me, but to me it’s not my job to try to straighten everybody out. The Gospel (is) called the good news. My message is a message of hope, that’s God’s for you. You can live a good life no matter what’s happened to you. And so I don’t know. I know there is condemnation but I don’t feel that’s my place. KING: You’ve been criticized for that, haven’t you? OSTEEN: I have. I have. Because I don’t know. KING: Good news guy, right? Some preachers’ argument about not preaching against sin or unrighteousness is that God is love, so we should preach more about God’s love and not about God’s wrath or “fire and brimstone,” as they call it. As reasonable as that may sound, unfortunately that’s half the gospel, not the full gospel. True. God is love. But God is fierce too. Jesus never minced words about the judgment or wrath of God; while teaching about the love of God. Neither did the early Disciples. So, this idea of not preaching about God’s wrath or condemnation (unrighteousness) is misguided and misleading, to say the least! And only meant to deceive and lull people to sleep; or need I say hell! Therefore, a true preacher sent from God preaches about the love of God; encourages the congregation to press towards the mark and stay the course; preaches about the wrath of God and against unrighteousness; and even generates controversy if he has to. That’s the full, uncompromised gospel. Jesus never failed to confront unrighteousness, generate controversy or preach “fire and brimstone” where appropriate. Jesus confronted the religious leaders in His days, the Scribes and Pharisees. All through Matthew 23, He denounced their hypocritical ways saying, “Woe (doom) unto you Scribes and Pharisees, hypocrites!” He called sin what it is — sin. He didn’t tip toe through the tulips; to borrow the cliché. Also, most motivational preachers hardly use the Bible when they preach; because they teach to people’s emotions for crowd reaction, and not their spirit. T.D. Jakes is the master of this. Yes, they may quote a few scriptures or use some Bible stories here and there, but they hardly allow God to use His Word (The Bible) to speak directly to His people. And when they do, they usually read from the Old Testament; often misusing it, not knowing how it relates to us in the dispensation of grace. I once heard T.D. Jakes say, using the story of Joseph’s dream in the Bible to prove a point, that one should not reveal one’s dreams or plans too soon to people. He said that it was because Joseph revealed his dreams too soon to his brothers that he ended up in an Egyptian jail. As good and convincing that may sound, that’s not scriptural. Rather, Joseph ended up in Egypt so that he could preserve the family of Jacob (Israel) from an upcoming famine, which God knew would come. These preachers rarely use the Bible because they know that the Bible will expose their lies. So, what they do is quote a few scriptures here and there, often out of context, and move on. And rightfully so, because if you want to keep a person ignorant forever, keep the Book away from the person. They’ve been able to get away with this for so long, simply because they know that most Christians don’t or rarely read the Bible on their own; and therefore don’t know what’s in it. Not even those Christians who attend churches where the Bible is read! Rather, most Christians’ knowledge of the Bible is based on someone else’s interpretation of the Bible, or lack thereof. Most Christians live and die based on someone else’s interpretation; and not what they learned from the Bible themselves by God’s Spirit. For instance, Osteen will preach an entire sermon, hardly mentioning the name of Jesus, but God. Yet at the end of the broadcast extends to you an invitation to accept Jesus Christ as your personal Lord and Savior; which is kind of ironic. I mean, it’s like a man telling you all day about his friend, James, only to say to you, “Oh by the way, meet my friend, Mark,” whom you know nothing about. Makes you want to ask, “Who is Mark?” since he spent all his time telling you about James, not Mark. I can understand why some of the preachers hardly use the name “Jesus.” It takes someone with a genuine relationship with God through Jesus Christ to say the name “Jesus.” Besides, the name “God” can mean anything to anybody. But it is the name “Jesus” that differentiates what God you are talking about. Most people don’t have a problem with the name “God.” The name they have a problem with is the name “Jesus.” That is “the stone of stumbling and rock of offense” (1 Peter 2:8). That is the name given under heaven by which we must be saved (Acts 4:12). In the Early Church, when the apostles were preaching the gospel and performing several miracles in the name of Jesus, the Jewish council had a problem with them because they were preaching and performing miracles in the name of Jesus. If they had been preaching in the name of God, they wouldn’t have had a problem with them. 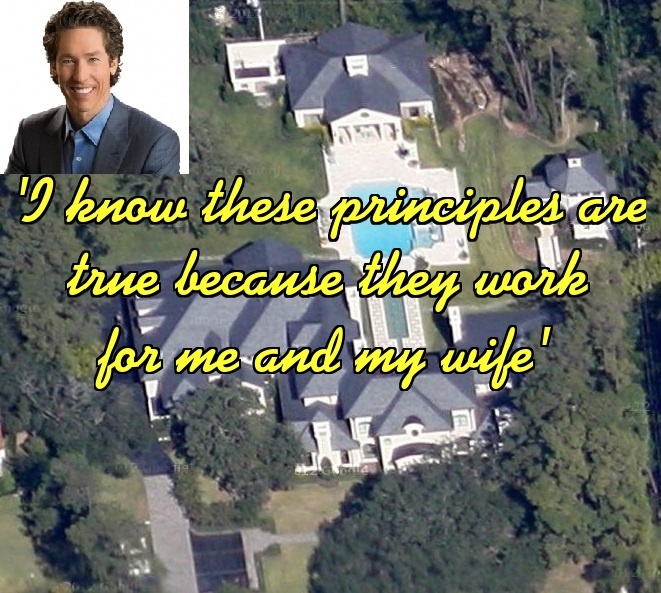 OSTEEN: We do have rules. But the main rule to me is to honor God with your life. To live a life of integrity. Not be selfish. You know, help others. But that’s really the essence of the Christian faith. KING: That we live in deeds? OSTEEN: I don’t know. What do you mean by that? KING: Because we’ve had ministers on who said your record don’t count. You either believe in Christ or you don’t. If you believe in Christ, you are, you are going to heaven. And if you don’t, no matter what you’ve done in your life, you ain’t. KING: What if you’re Jewish or Muslim, you don’t accept Christ at all? KING: If you believe you have to believe in Christ? They’re wrong, aren’t they? OSTEEN: Well, I don’t know if I believe they’re wrong. I believe here’s what the Bible teaches and from the Christian faith this is what I believe. But I just think that only God will judge a person’s heart. I spent a lot of time in India with my father. I don’t know all about their religion. But I know they love God. And I don’t know. I’ve seen their sincerity. So I don’t know. I know for me, and what the Bible teaches, I want to have a relationship with Jesus. Anyway, there are many more reasons why these two preachers top the list of motivational preachers — too many than time or space will allow. But for the sake of time and space, here is a comparison chart below summarizing some of the differences between a motivational preacher and a true preacher. This chart also can help you to identify other motivational preachers. Teachings make congregants self-centered; i.e., what they can get from God: favor, blessing, promotion, joy, victory, etc. By no way is this list exhaustive. But it’s just enough to show you the major differences between a motivational preacher and a true preacher. Motivational speaking is motivational speaking. The gospel is the gospel. They are not the same. Nothing even close! Now, having made that distinction let me reiterate that I have nothing against these preachers or the fact that they are motivational preachers. I’m only concerned about the thousands of spiritually hungry people listening to them, some of whom have a sincere heart to learn God’s Word, and think that they are listening to God’s Word, but have no idea that what they are listening to is motivational speaking packaged as the gospel. However, if you are still doubtful as to whether Jakes and Osteen are motivational preachers or not, using the chart above, I challenge you to listen to both of them for a month; (probably won’t take you that long to figure them out), and see if you won’t see through their smokescreen. But before watching them, pray. Ask God to make clear to you what He needs you to see concerning these two, beyond their dynamic style of teaching and charisma. You can go to their websites for a listing of their broadcast schedule in your area or you might even be able to stream some sermon videos online. Now, let me say that while listening to them you’ll hear some things that make sense or sound good to you. That’s common with motivational speaking. But beyond that, you should be able to see through the charade. By no means are these two the only motivational preachers. So, just because your pastor or favorite televangelist does not make this list does not mean that you may not be listening to a motivational preacher. Therefore, do the same thing you’d do for Jakes and Osteen’s teachings for your pastor or favorite televangelist’s teachings. Take the chart above and compare your pastor or favorite televangelist’s teachings with it to see if he or she qualifies as a motivational preacher or not.